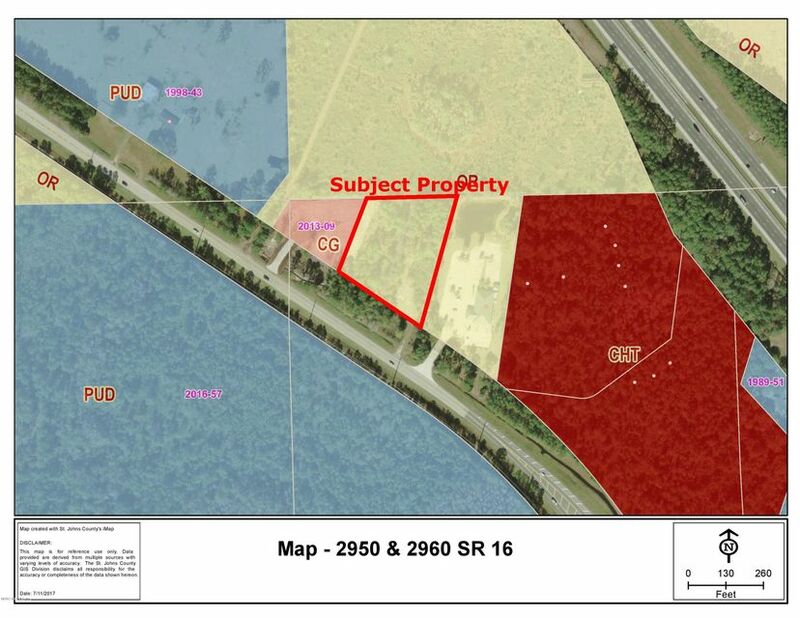 Opportunity to purchase just over 2 acres of commercial land strategically located on the north side of SR 16 in a mixed-use future land use district. This property is situated just west the St. Augustine Premium Outlet Mall and the I-95 interchange. This site has an estimated 296 feet of frontage on State Road 16 by 405 feet of depth on the east side and 235 feet of depth on west side. The rear boundary has 272 feet of width. Possible uses with a straight rezoning include those commercial uses typically found in the CG and CHT zoning categories-see attached. The AADT traffic count is 16,500 cars per day.